The South Carolina Police Benevolent Association is committed to keeping you informed of legislation that may affect your work-life, pay and benefits. The Governmental Affairs department will be providing periodic updates on the actions of the South Carolina General Assembly while in session. Included is a summary of bills of interest introduced during last month, as well as updates on those reported in the previous reports. The PBF and the Columbia Chapter of the SCPBA mourns the loss of the Ashley Vincent, the wife of PBA member and law enforcement officer, Matthew Vincent. Ashley passed away in her sleep after visiting a medical facility with complaints of stomach pains. Have you ever considered what it might take to help save someone's life? As the Second Session of the 119th General Assembly comes to a close, legislation of importance to members that was passed is noted here. Retirement Bill PASSED H 4967 Retirement Changes Passed and signed into law June 26, 2012 This law modifies many provisions of the SC retirement system, including SCPORS (South Carolina Police Officers Retirement System) but maintains it as a Ã¯Â¿Â½? ?Defined BenefitÃ¯Â¿Â½?Ã¯Â¿Â½ plan. It creates a third class of employees with modified benefits for those hired after enactment of this law. This law also has changes for current employees and retirees. This is a list of all of the endorsed candidates that the SCPBA has endorsed in 2012. We would like to congratulate each of these candidates on their endorsements and we hope to work with them into the future to help make the law enforcement profession better for our members. Please show your support for these candidates at the polls. The 118th Session of the South Carolina Legislature opened on January 14, 2009 and adjourned Sine Die on June 29, 2010. 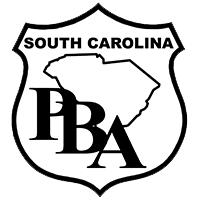 There were fifty bills of interest to South Carolina PBA members followed during this session. Of those fifty bills, six passed. The Governor vetoed three of the five passed bills. One of the vetoes was overridden by the Legislature.